Straddling the River Corrib on Ireland's west coast about 40 mi/65 km north of Shannon Airport, Galway exudes a youthful liberalism rarely found in Ireland. Galway's own large population of college students is bolstered by the influx of young adults from across Ireland (and many from mainland Europe) who are attracted by the music, the theater and the lively pubs. But travelers of any age will enjoy the city's compact, walkable downtown—it's a delightful jumble of narrow streets and medieval buildings that recalls Galway's long history. 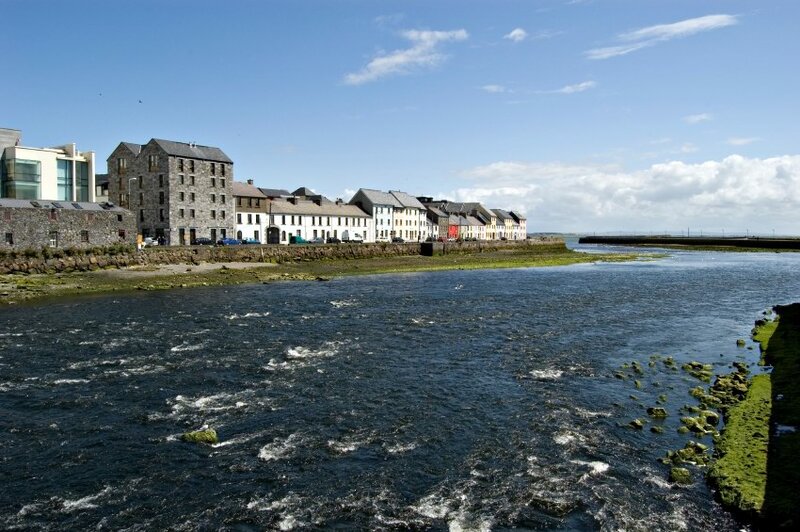 Filled with restaurants and pubs, the city center is the best place to experience Galway's nightlife.